Please select an option 36 34 32 31 30 29 38 Please select a size. 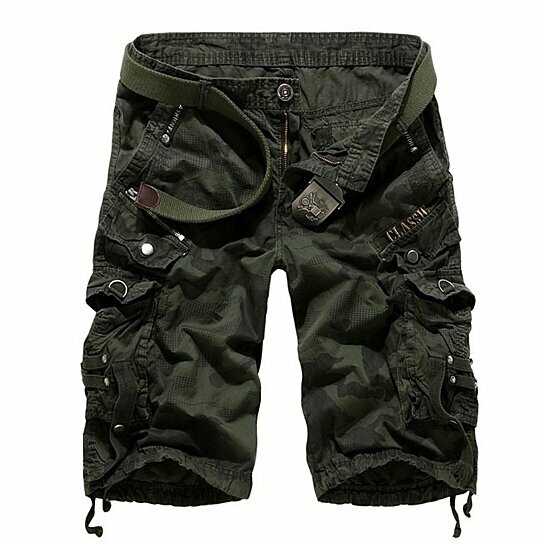 100% cotton ring-spun canvas, this cargo short sits slightly below the waist and has a relaxed seat and thigh for easy movement. Notes: the belt is not included. the belt in the picture is for shooting effect. thanks for kind understanding.